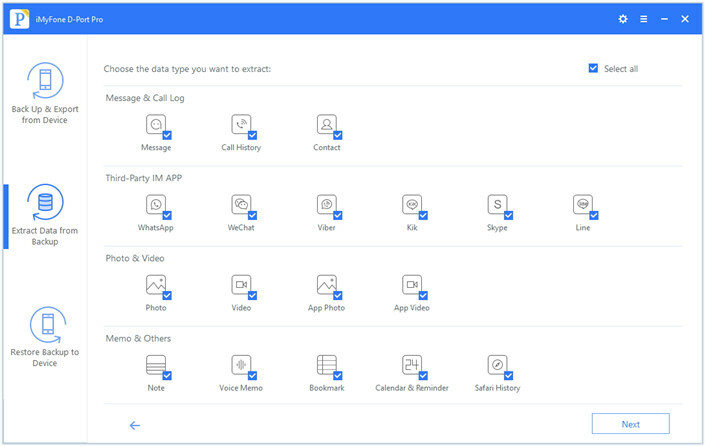 Separately back up and restore Messages, WhatsApp, or WeChat. Selectively restore iTunes, iCloud, or iMyFone backup to iOS devices. 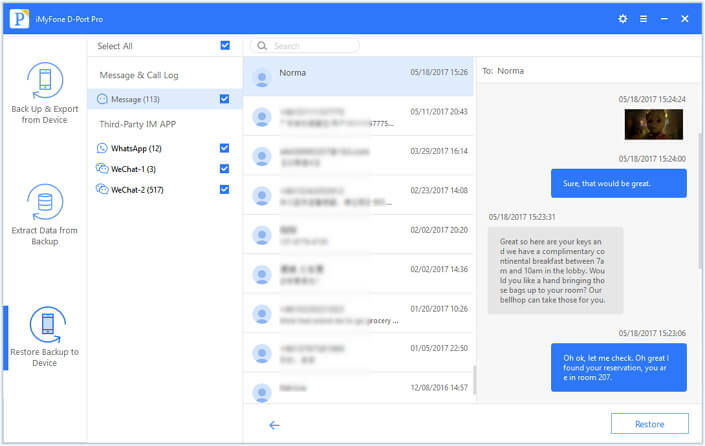 Extract 18+ types of data from iOS device or backup files. 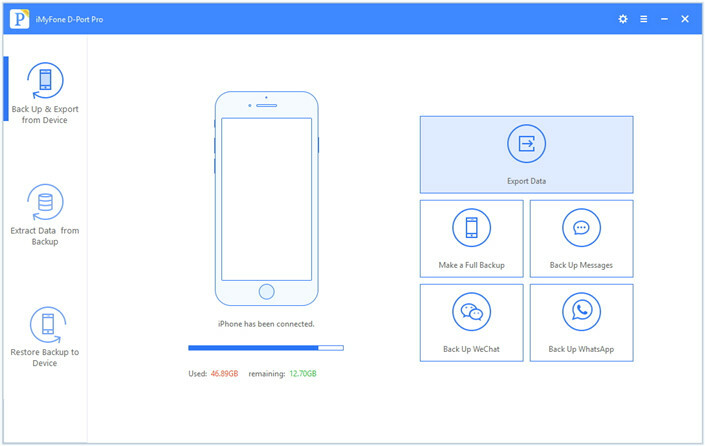 iMyFone D-Back – Easily recover your lost or deleted iOS data. iMyFone Umate – Manage your iOS device storage professionally. iMyFone Umate Pro – Erase your private iOS data once and for all. 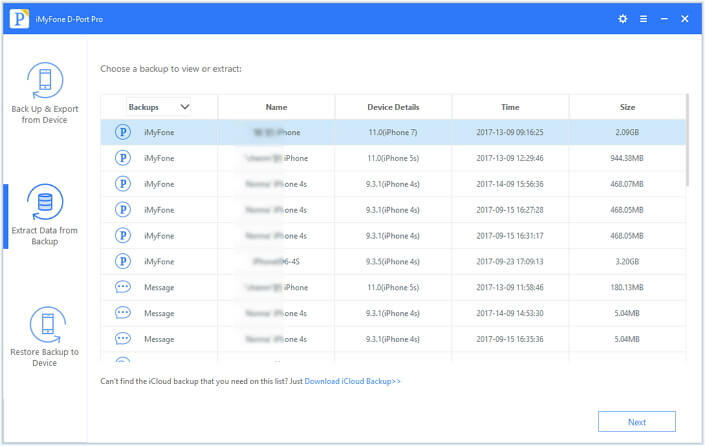 iMyFone D-Port – Export data from iOS devices/iTunes/iCloud. Easily recover your lost or deleted iOS data. Erase your iOS data once and for all. Transfer music/videos/files between iOS and iTunes/PC. Your best iOS data exporter. One-stop solution to various iOS issues. Manage your iOS device storage professionally.